Searching for a job can be a frustrating experience, but having years of reading resumes, Cliff knows what attracts a recruiter or potential employer to fully read a resume or simply place it in an unread pile. He will work with you to help you feel more in control and confident in your future by providing you specific techniques and templates for such critical job search functions as cover letters, resumes, interviewing, thank you notes and targeted follow up techniques. "Can you do the job?" "Will you fit into our culture?" And with the confidence you'll develop, you'll be able to answer these questions with a smile on your face. Do you know what kind of manager is best for you? Do you know your "Strengths Overused" (also known as weaknesses) so you can address them or steer clear of them in a new work environment? 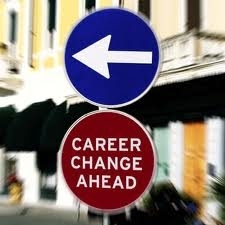 Whether or not you are currently employed, here's an opportunity to confidentially investigate other alternatives or ideas to assure the career you're planning for the rest of your life is the right one for you or, more importantly, in line with your purpose and passion.